You just can't help but smile when you see a bunch of brightly colored sunflowers in full bloom. Sadly, those petals don't stay golden forever...or do they? 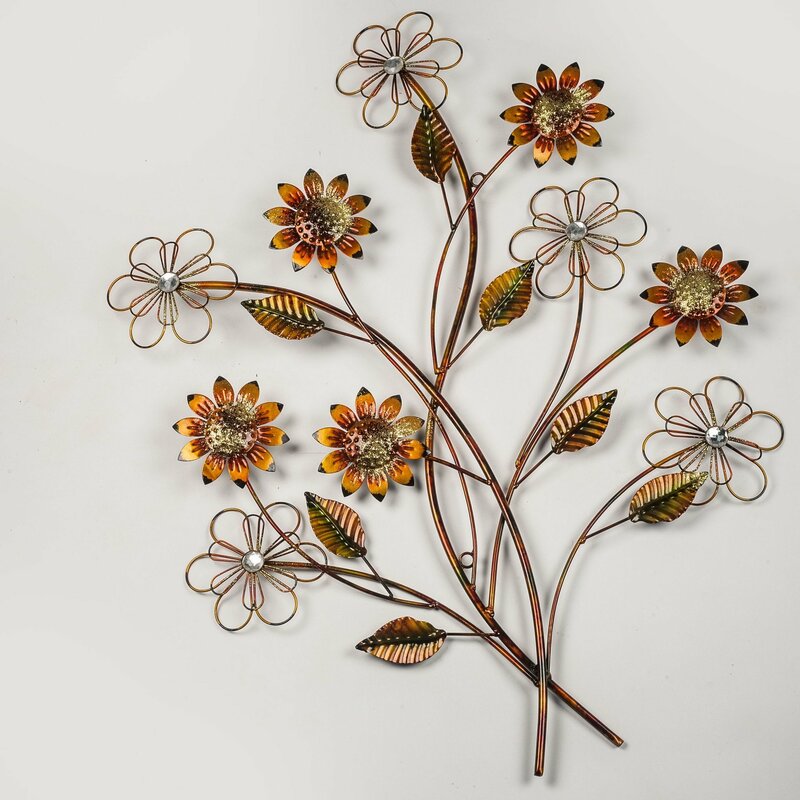 This sunflower metal wall hanging features five beautifully coloured yellow and orange sunflowers that will forever bloom as well as five six-petaled posies with sparkling crystal centers. This collection of yellow-gold sunflowers and leaves makes a stunning wall decoration. There are two rings on the stems which makes for easy attachment to the wall.